After waiting and waiting, i finally got a new spindle. 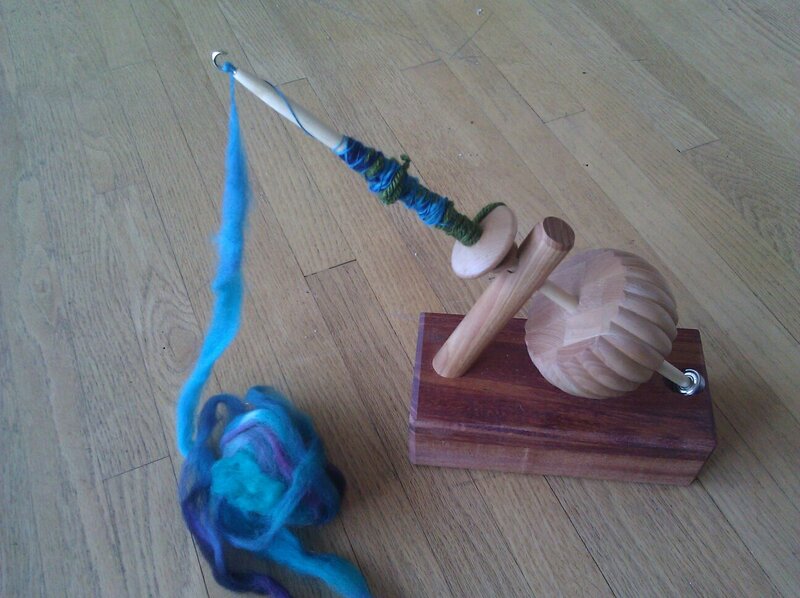 And not just any spindle–and Little Meggie Kick Spindle from Heavenly Handspinning. I wanted something that would give me a little more freedom for drafting, but as spinning wheels are still pretty cost prohibitive, i needed something that was well within my price range. This idea is awesome. 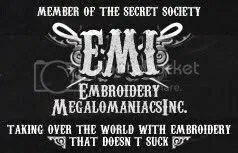 It frees up my hands from having to spin my spindle, and carry teh weight of it, and allows me the freedom to pay more attention to my drafting. I simply spin the spindle with my foot and then draft as i normally would. It’s also sits in a ball bearing casing, so it can spin for some time, and very smoothly. I’m still working out my kinks–finding the right posture, working on that leg muscle, but i’m starting to find my groove. I suppose my only complaint is that it isn’t as big as my homemade spindles, but it’s easy to load them up to use as bobbins and instead of andean plying as i usually do, i can just ply from my spindles in their lazy kates. I’ve been spinning away since i got the package yesterday–working with a colonial wool. I didn’t want to use the sweet Merino i got at the fair until i found my rhythm. started spinnin away as soon as i put it together! LOVE! 1 Response to New Toy! It’s gorgeous! I would love to try that too! I just decided recently that I would like a spinning wheel as well. Looks like a good way to practice before you decide to get one though. What you’re spinning on now looks lovely!